Dated 1892 -1894. The Vase Is In A Perfect Condition. 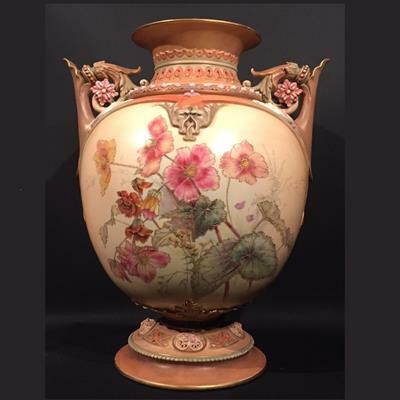 There Are Identification Marks On The Base And Edward Raby Signature On The Face Of The Vase.